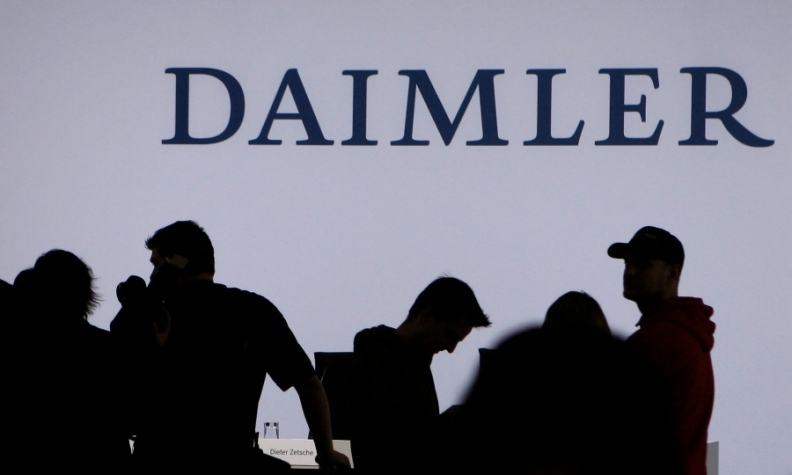 FRANKFURT (Bloomberg) -- Daimler will receive 2.43 billion euros ($3.36 billion) for its 50 percent stake in an engine joint venture from partner Rolls-Royce Holdings Plc. The two companies determined that the amount was the fair market value for the stake, they said today. Daimler announced plans last month to sell the Rolls-Royce Power Systems holding under a put option agreed with the UK manufacturer three years ago when the venture was established. Daimler and Rolls-Royce made a joint 3.4 billion euro bid for the German engine maker in 2011. The Friedrichshafen-based company, which employs 11,000 workers, manufactures high-speed diesel engines for the marine, energy and defense industries. As part of the deal, Rolls-Royce contributed its Bergen engine business to the venture. "We are pleased to reach an agreement with Rolls-Royce in such a short period of time," Wolfgang Bernhard, who runs Daimler's commercial-vehicles division, said in the statement. "This underlines the profound partnership established during the past years." Daimler CEO Dieter Zetsche, who has a goal for the Mercedes-Benz brand to surpass rivals Audi and BMW to become the world's biggest maker of luxury cars by 2020, plans to use the proceeds from the sale to invest in Mercedes's expansion. He's rolling out 30 new vehicles by the end of the decade, a dozen of which will have no predecessor. Daimler will continue supplying medium- and heavy-duty diesel engines to the venture under supply agreements that run until 2025. The automaker delivers about 18,000 engines a year to the company, which is already consolidated in Rolls-Royce's books. The two owners aim to complete the transaction within the next five months.